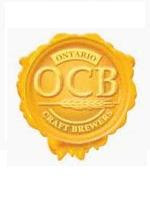 Three Ontario Craft Brewers grabbed global beer glory in a contest of international brewing excellence, winning awards at the 2012 World Beer Cup® held May 5, 2012 at the Town & Country Resort in San Diego, California. Amsterdam Brewing Co. of Toronto, Cameron’s Brewing Co. of Oakville and King Brewery of Nobleton each won an award at the 2012 World Beer Cup®. Judges presented a total of 284 awards during the ninth bi-annual competition which boasted the strongest field of entrants on record, with 799 breweries from 54 countries and 45 U.S. states entering 3,921 beers in 95 beer style categories. Amsterdam took a Bronze in the 2012 Fruit Wheat Beer category (28 entries) for its Framboize. "Our Framboise is an incredibly difficult beer to make from the brewing process and the amount of time we age in fresh raspberries, all the way to filtration and packaging,” says Jamie Mistry, Brewmaster at Amsterdam Brewing Co. Framboise has always had a good following in Ontario, but to be recognized on an international level for this beer is a huge honour." Cameron’s won a Bronze in the 2012 German-Style Schwarzbier category (40 entries) for its Dark 266. "We are very proud of our win for Cameron's Dark 266,” says Bill Coleman, President & Co-owner, Cameron’s Brewing Co. “This is truly testament to our talented and passionate brewers. We spare no expense and take the time to brew the world's best beer. Stay tuned for more innovation from Cameron's." The awards ceremony took place during the annual Craft Brewer’s Conference (May 2-5). Over 30 brewers and staff from Ontario breweries attended the three-day craft beer extravaganza. Brewers attended seminars and presentations and networked with craft brewers from around the globe. New Dead Frog Pale Ale Recipe! Avery's Celebrates "These Days of May"